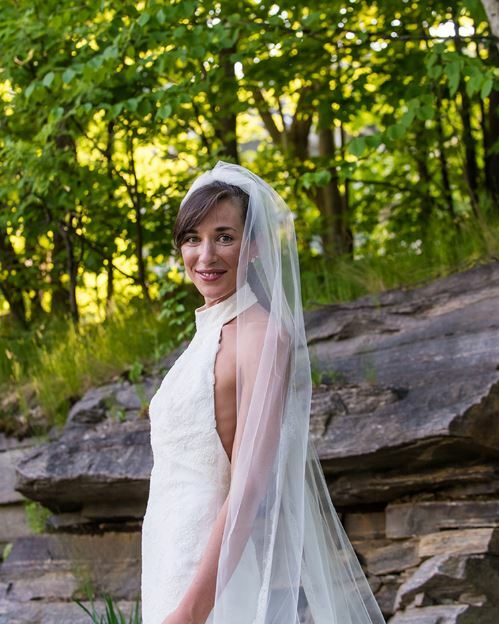 The lovebirds had a breathtaking backdrop with a venue set in the woods of Muskoka. 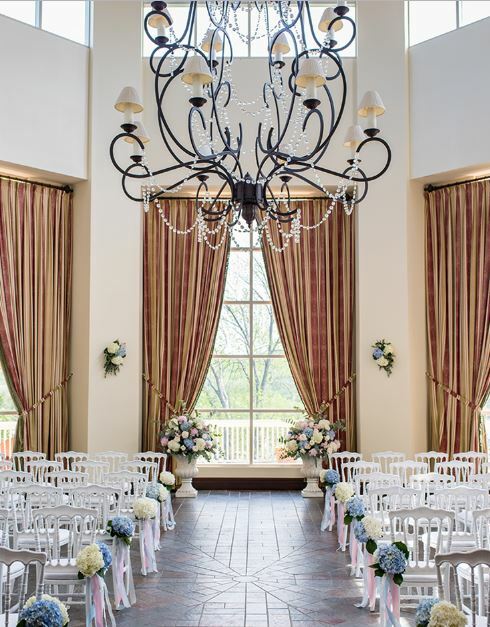 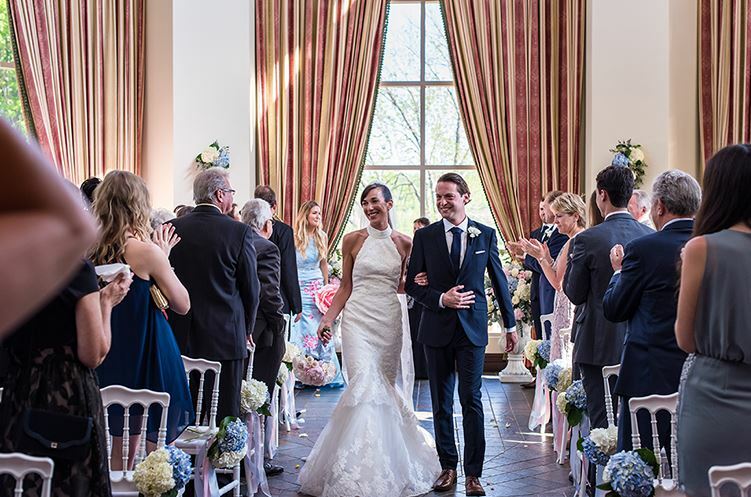 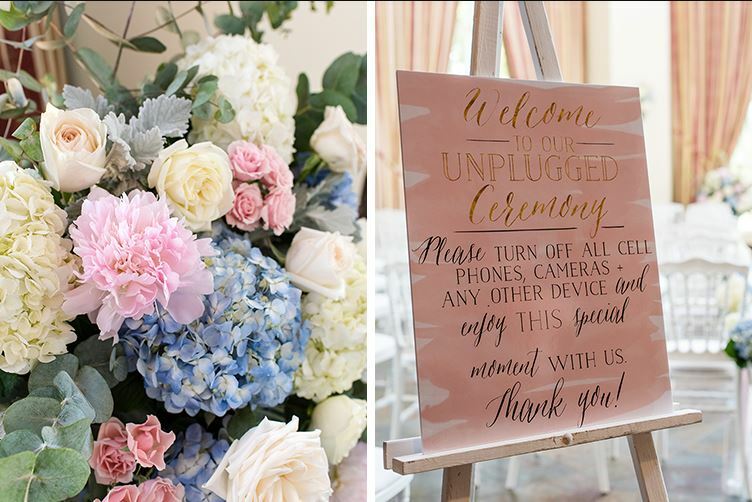 The unplugged ceremony enabled guests to fully present while the couple exchanged vows. 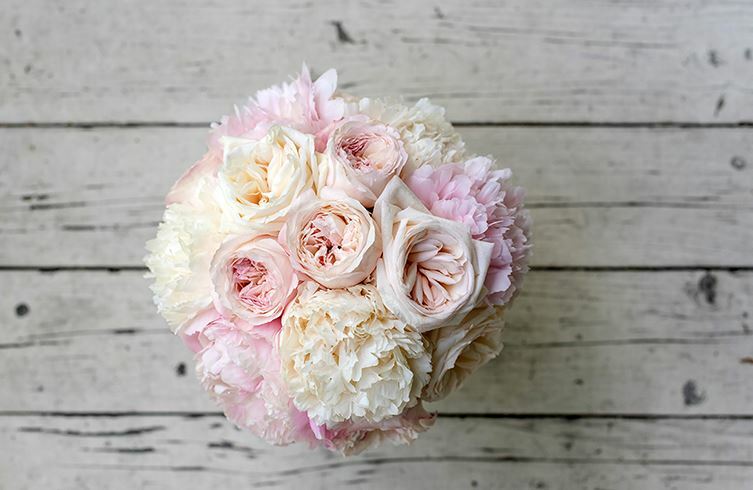 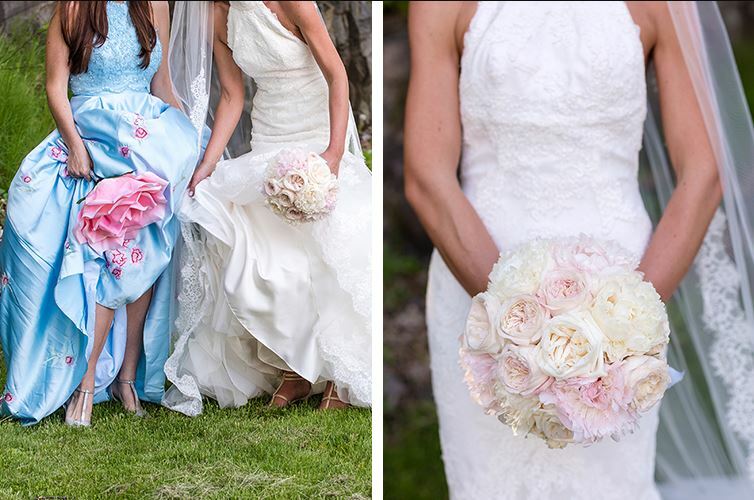 Um, how gorgeous are these BIG day blooms? 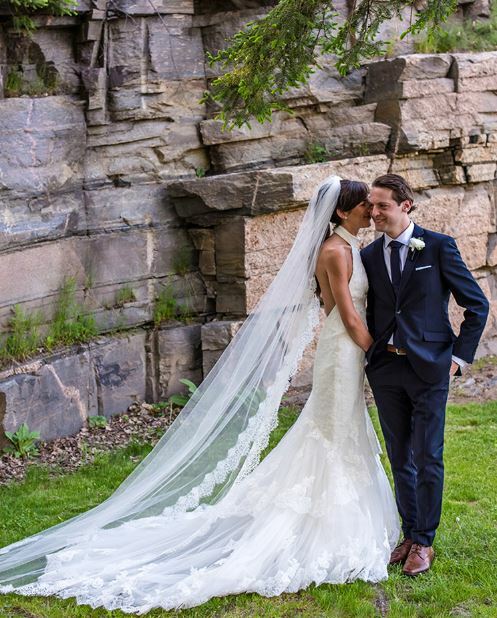 We’re seriously swooning over that cathedral veil. 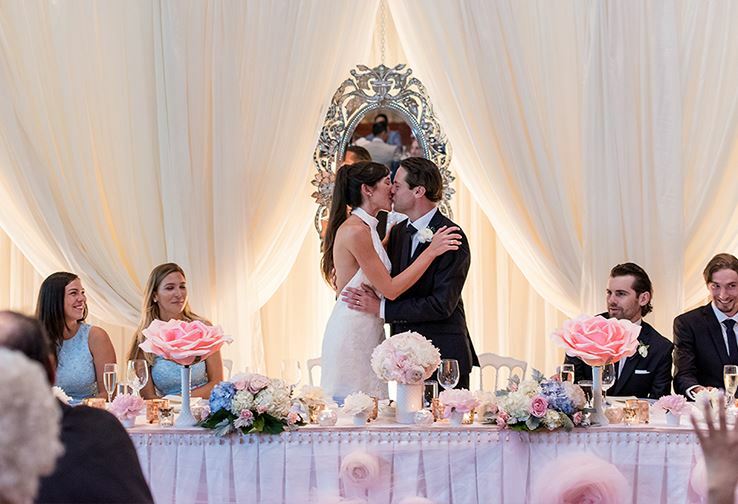 They’ve got that forever kind of love, huh? 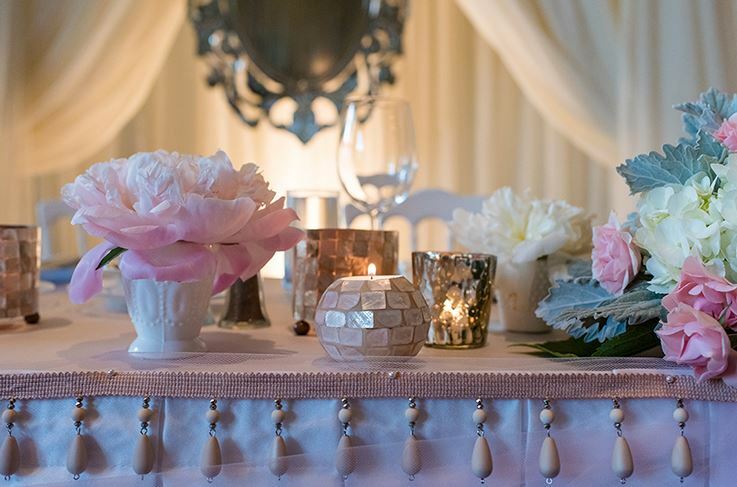 Lucy Myers created this design concept for the head table, with custom fabric rosettes on the table cloth straight from Europe. 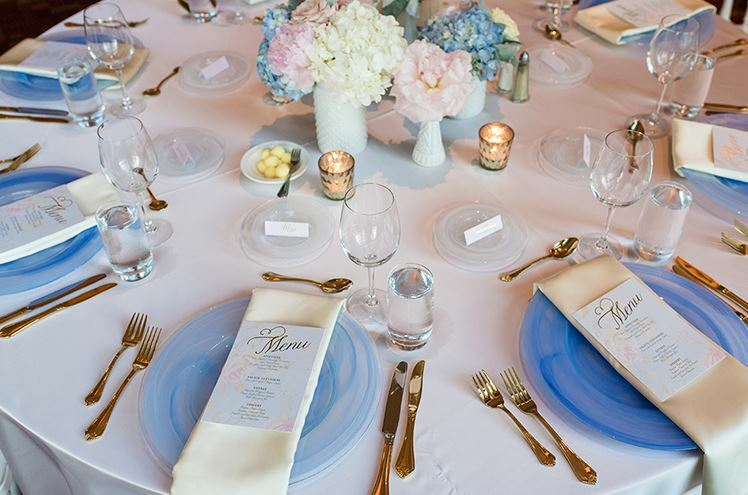 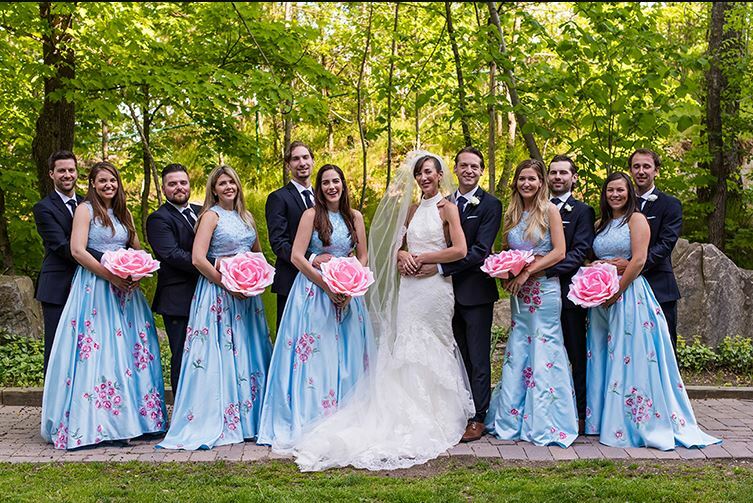 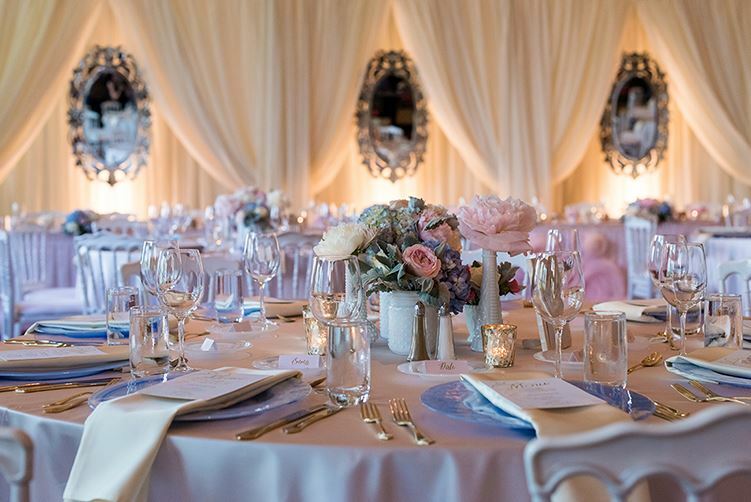 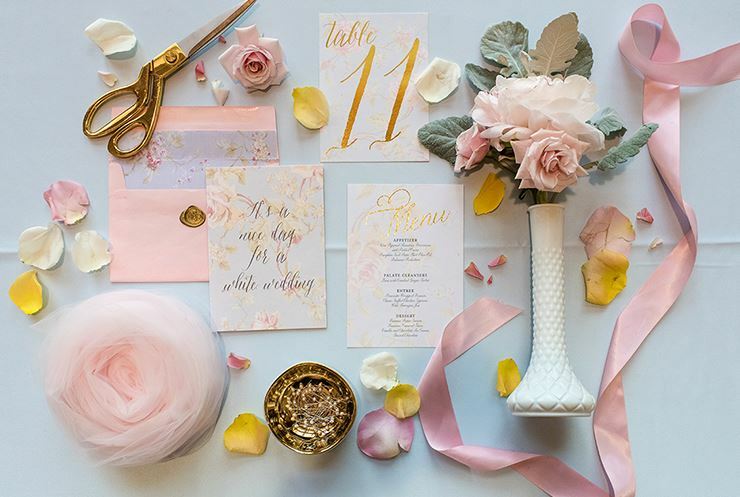 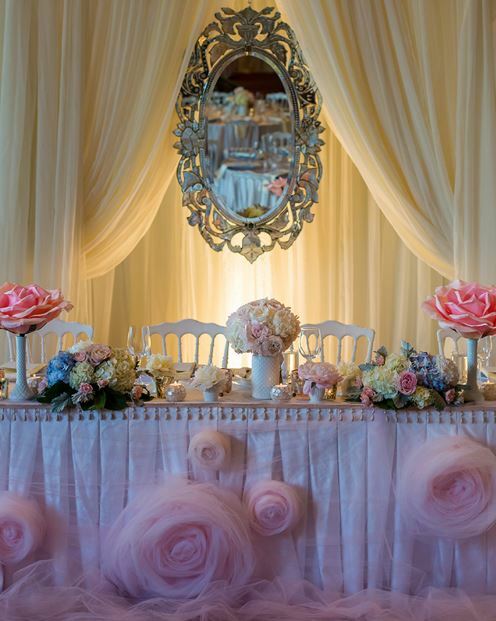 The mix of baby blues and dusty pinks gave the celebration a soft romantic feel. 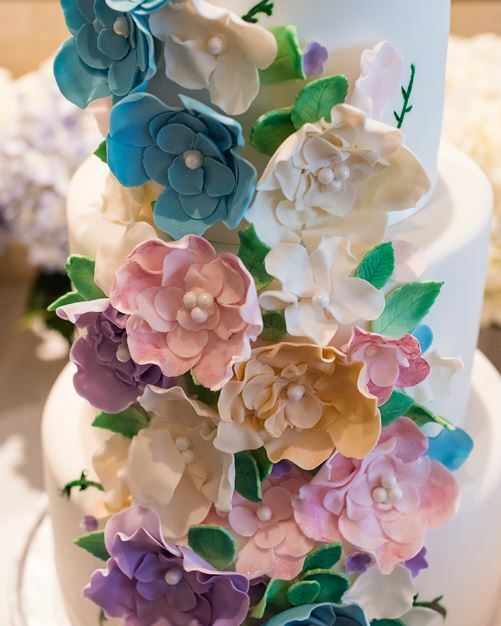 This cake is a work of art, covered in colorful flowers and pretty pearls. 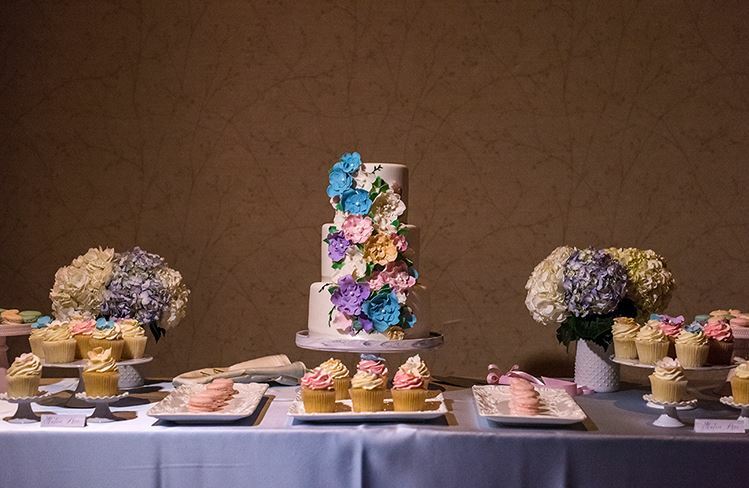 A table full of pastel sweets sure charmed the guests. 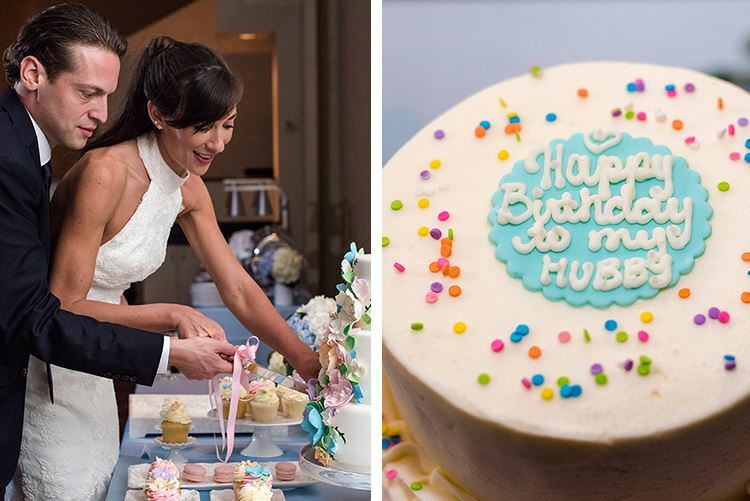 And this birthday treat for the groom was literally the icing on the cake! 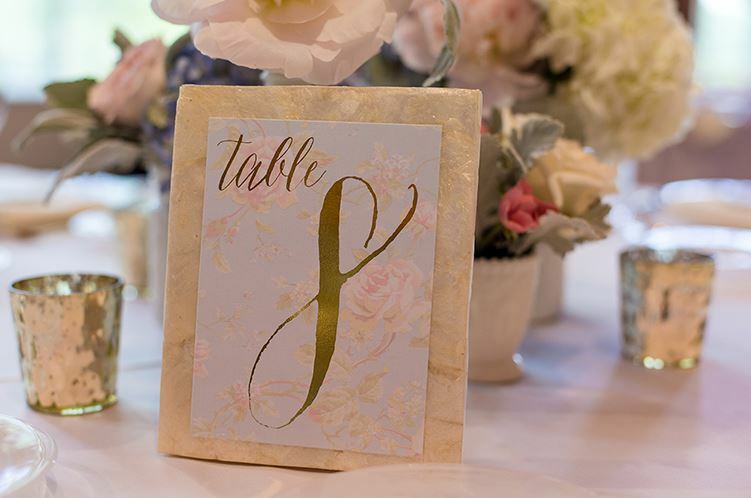 Stationery by Lovely Little Design Co.